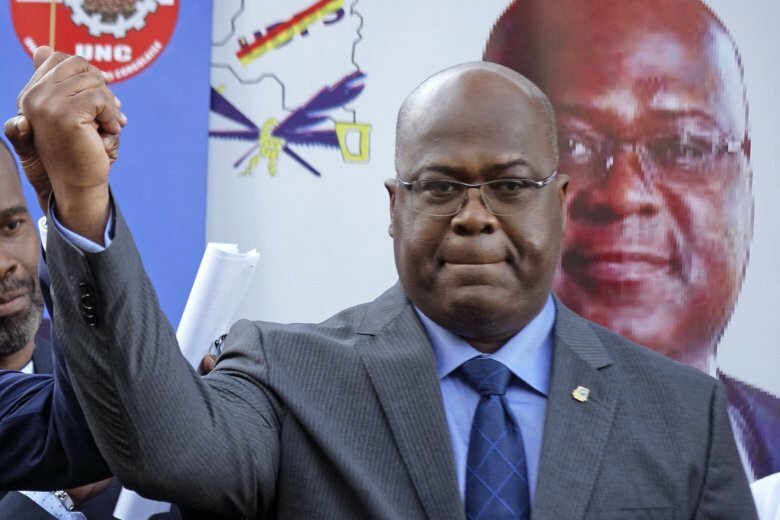 KINSHASA, Congo (AP) — Congo is on the brink of its first peaceful, democratic transfer of power since independence in 1960 after the Constitutional Court on Sunday confirmed the presidential election victory of Felix Tshisekedi, although questions remain about the result. However, Tshisekedi’s victory was rejcted by rival opposition candidate Fayulu, who declared that he is Congo’s “only legitimate president” and called for the Congolese people to peacefully protest against a “constitutional coup d’etat.” If Fayulu succeeds in launching widespread protests it could keep the country in a political crisis that has simmered since the Dec. 30 elections. “It’s a secret for no one inside or outside of our country that you have elected me president,” with 60 percent of the votes, Fayulu said. He urged the Congolese people and international community to not recognize Tshisekedi as president.